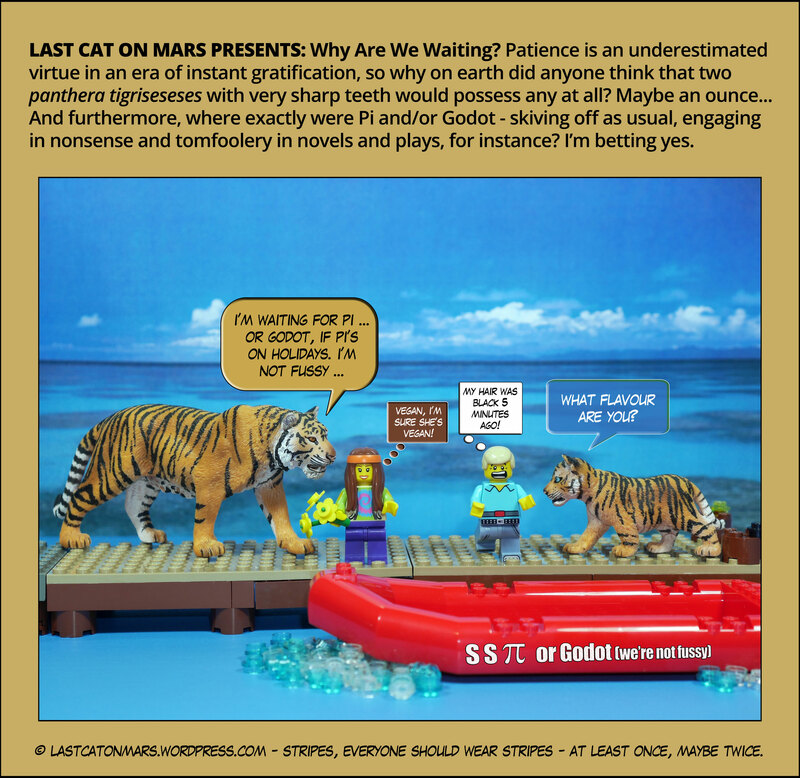 Last Cat On Mars Presents: Why Are We Waiting? Actually, cats of all kinds are very fussy, and it’s unlikely that our friends in this episode are anything but fastidious. 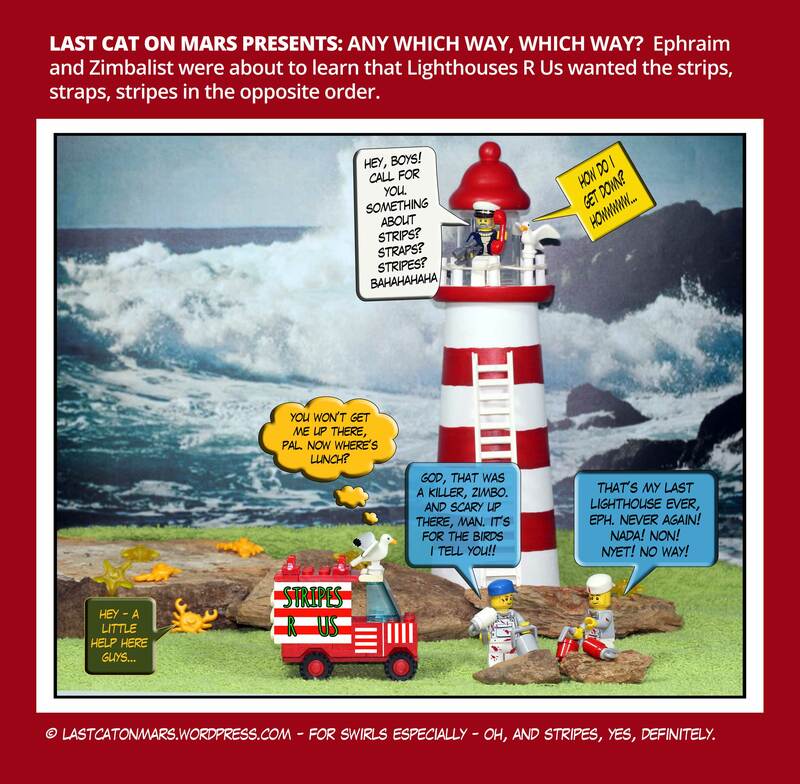 Therefore, fret not, humans, the jetty’s bipeds will survive, and thrive, as all four of them wobble off in the SS π or Godot for a lovely day at the beach. Which reminds me, gotta run, the tuna rocket’s just arrived. (P.S. : Spoiler alert: if you happen to be waiting for Godot to arrive, don’t – he embezzled all sorts of funds (plus a few lamingtons) during the GFC of ’09 (unrelated to the Great Feline Carnival of ’09) and was last seen 40 kilometres west of Wherearewevillle demanding change for a $7 note). 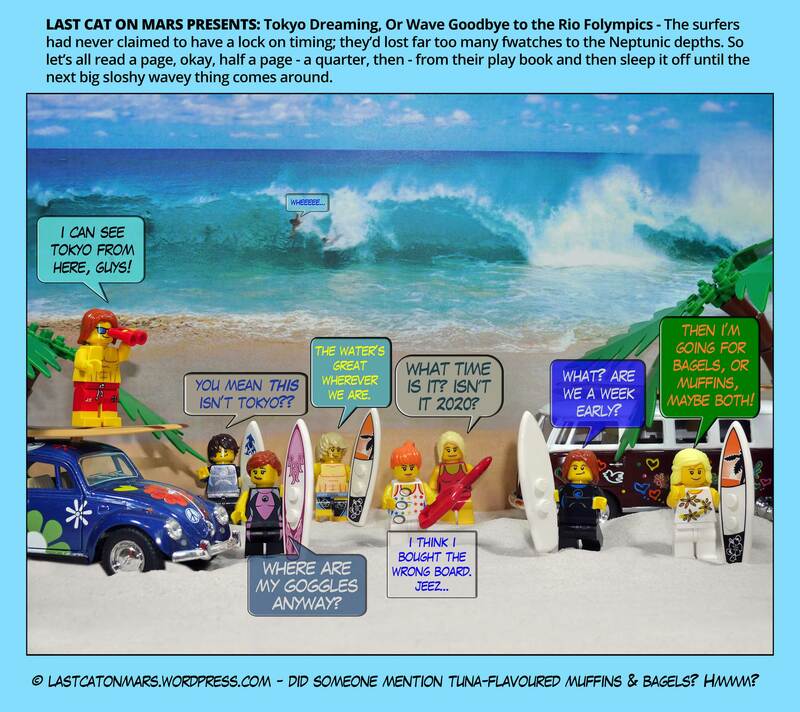 This entry was posted in Literary and Literal and tagged big cats, boat, cartoon, comic, Godot, jetty, lego, minifigures, ocean, Pi, tigers on July 20, 2016 by Jay Verney.